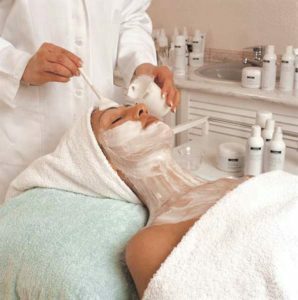 This European style facial includes cleansing, exfoliation, extractions, mask, arm, neck, and facial massage, and moisturizer/SPF. Ideal for all skin types. This facial includes all of the above and more. You may wish to add a peel, Green Herb Treatment or LED light therapy. Ideal for acne prone skin or youth boosting treatment but, will be customized for all skin types. This facial is a customized youth renewing treatment. It will include the European style facial upgraded with two of the following therapies: LED light therapy, microdermabrasion, microcurrent, peel, or Rezenerate skin pen infusion. Get red carpet ready with this infusion facial. A customized cocktail of serums will be infused into your skin with the Rezenerate nanotechnology skin pen. The skin will be further hydrated, plumped, and smoothed with the X08 stem cell mask and a microcurrent treatment to lift the skin. The XO8 mask includes 24kt nano gold, ovine placenta and stem cells, as well as natural skin brighteners and skin firming vitamins. All DMK Enzyme Therapy treatments are 120 min and require a consultation and evaluation. This is tissue strengthening for those with compromised skin conditions, such as rosacea. This treatment is for muscle banding. Improves laxity in skin and gives a firmer more lifted and sculpted appearance.